If The Force Awakens's upcoming release has you craving all things Star Wars, you might want to consider a few Fallout 4 mods released in the past two weeks. These mods bring several elements of Star Wars into the post-apocalyptic RPG. Aspiring Jedi Knights can download a mod that replaces pool cues with lightsabers. The green lightsabers have a hefty 30 damage and custom sounds. Judging from the gameplay video below, they're great at carving up enemies. The lightsabers are a work in progress, though. Right now they break when they're dropped. They also look a little off with solid green blades but the creator, xxdeathknight72xx, says that he'll add a glow effect in time. The lightsabers will eventually hum while equipped and also have new hit sounds as well. 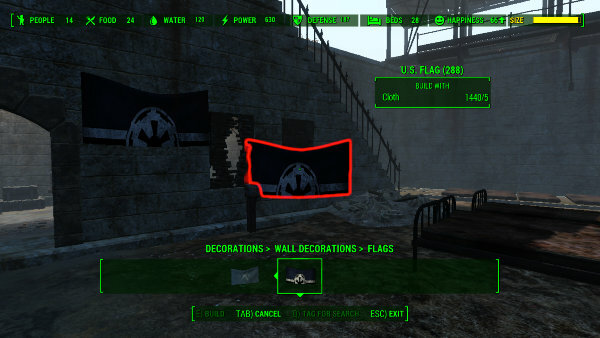 I'm sure that most Fallout 4 players are waiting for mods that will add stormtrooper armor and other Star Wars outfits to the game. That's going to take a lot more effort than these other mods we've seen thus far. In the meantime, though, you can at least get your Pip-Boy ready. 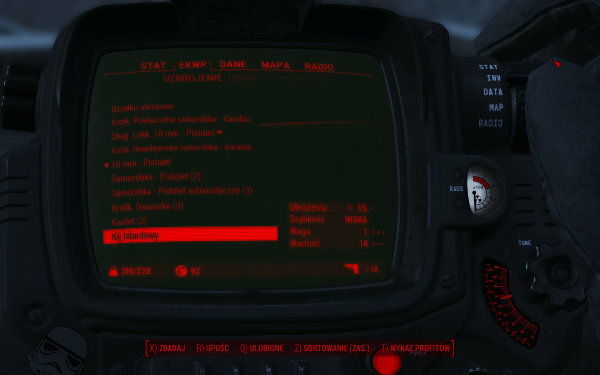 This "Black Trooper" mod makes your Pip-Boy black with red type, which means it would go really well with a Captain Phasma or Kylo Ren mod. It's going to be great seeing what else the modding community builds in the coming months. I wouldn't be surprised to see blasters, rancors, wookiees and more.